Here is a listing of all the books in the Protestant Bible along with their pronunciations in Creole. Please let us know if you would like an audio recording of any particular Bible verse. You can listen to John 3:16 in Creole here. Don’t miss where to read the Haitian Creole Bible online. 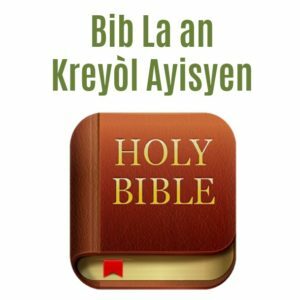 What are the books of the Bible in Haitian Creole?